They say “fools rush in” and in our case, it’s true. The April Fools just couldn’t wait until April 1st to mess around with our revered Stone-Tolan House Historic Site. 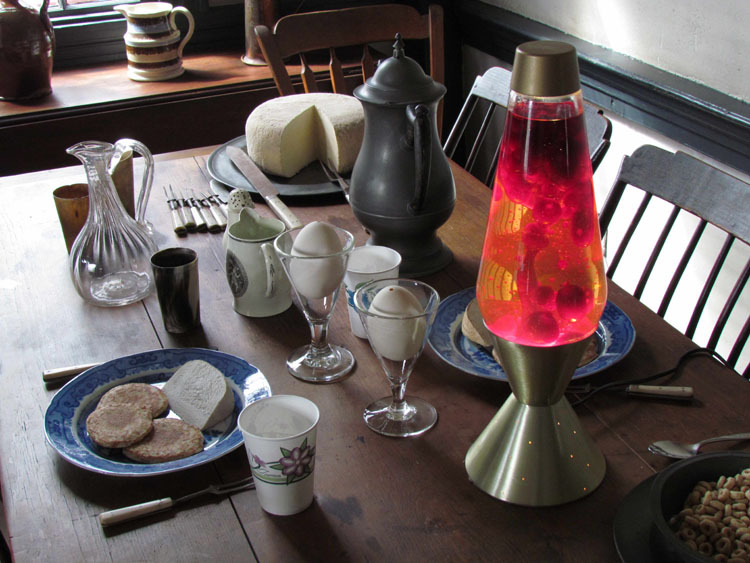 On April Fools Eve, aka March 31st, you’ll have the chance to see the 236-year-old rooms with quite a few unusual additions. Some will be pretty easy to spot. We’re pretty sure Orringh and Elizabeth Stone did not have a lava lamp. Others will be a bit more challenging: did they know how to make that in 1815? New this year: Many of the “out-of-place” and “out of time” objects will honor today’s diverse community. Can you find them all? Bring your family, bring your friends, or invite a total stranger. You can work as a team! We’re not fooling when we say it’s the most fun you’ll have for $5 per adult and $1 per kid. 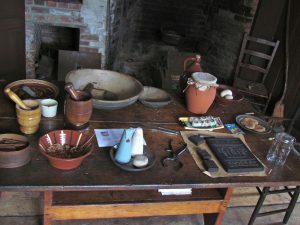 Visit this 200 year old tavern and farm house, and help identify the objects that don’t belong in the 1815 room settings. Some will be easy to find (the lava lamp!) and others more of a challenge. Poor Stone-Tolan. Those April Fools have been at it again. The oldest site in the county has been littered with things that do not belong. We’ve got to get it set right before all the 4th grade students arrive for their field studies – we don’t want the kids to think that Mrs. Stone did her hearth cooking by the light of a lava lamp!